Natural pale blue transparent stone known as chalcedony (kal-SID-knee) has been shaped in a thick teardrop. 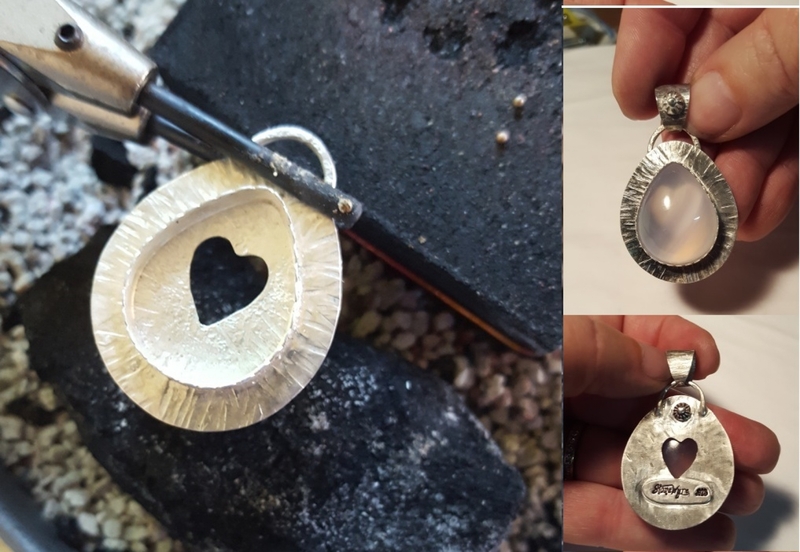 Set in sterling silver, you can see the heart cutout on the back through the stone! 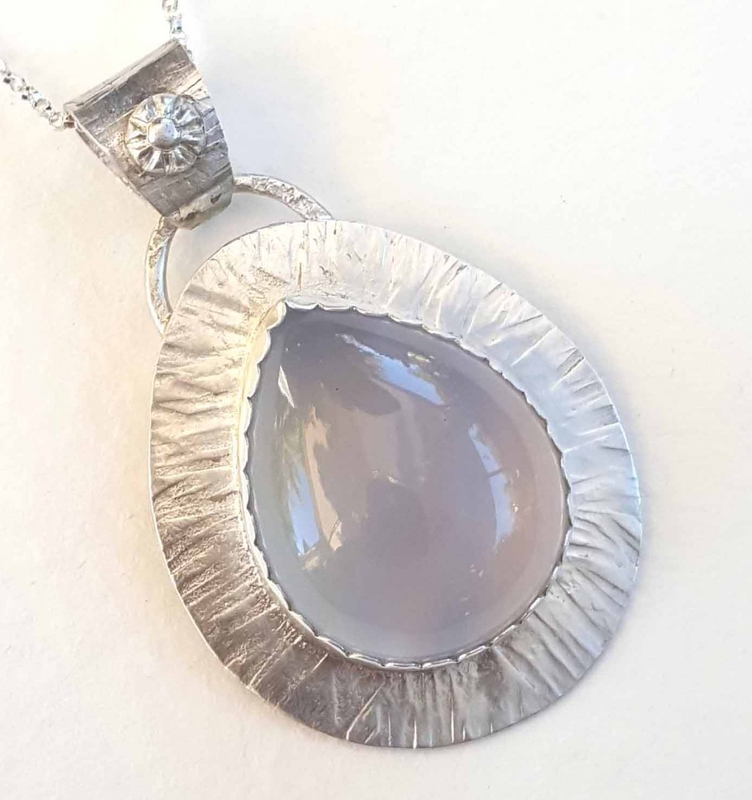 This pendant, approximately 1-1/2 x 1-3/4 inches, comes with an 18-inch sterling silver chain. Metaphysical: Blue chalcedony is a quartz. The crystal energy facilitates balance; it is both soothing and restorative. Known as the "Speaker's Stone," blue chalcedony facilitates calm, measured, and thoughtful speech. Perhaps that is why Cicero, the great Roman orator, is said to have worn the stone. It absorbs and dissapates negative energy; a nurturing stone.